Adjoining our business centre to the left hand side we have newly built 2 storey self contained offices with private access, shuttered front, parking and Kitchen and toilet facilities in each unit. Size 66sq. metres and price is 550 plus vat pcm. These Birkenhead offices are vat registered and there is a weekly service charge of 12.00 for security, insurance, waste removal, water usage. Tenants are responsible for their own electric, rates and water standing charge. Our Birkenhead self contained offices are placed close to all local amenities and transport link. 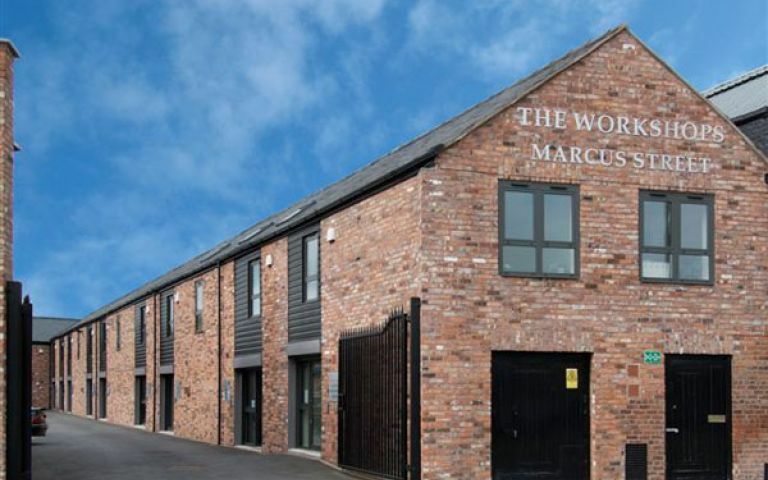 These offices in Marcus Street offer a range of prices depending upon your exact requirements. Contact us now and we will help find the best price for you, based on your individual needs. Placed within a well established Business Centre we have a choice of 33 offices to choose from. Re decorated to a high standard, ready for clients to move in.